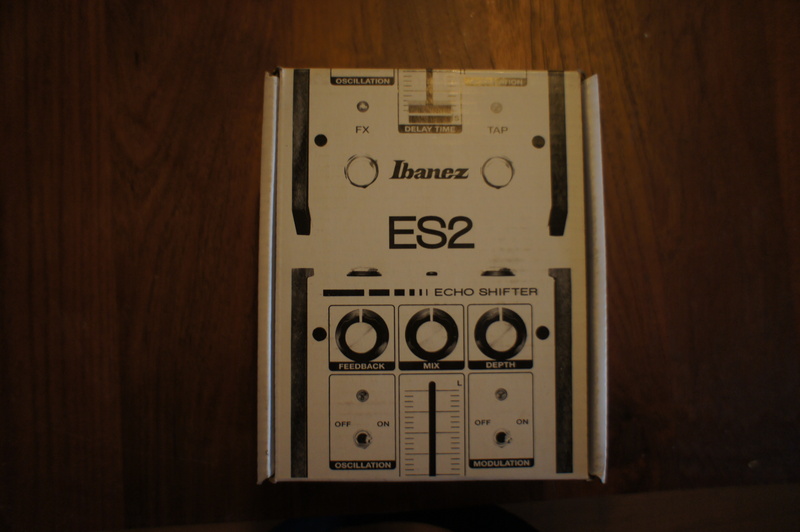 ES2, Delay/Echo/Phrase Sampler for Guitar from Ibanez. saucisson's review (This content has been automatically translated from French)" very poor quality of manufacture"
So far, so cool, tone down the oscillation which is cool but quickly unmanageable. Great vintage sound well, fairly dark. well as on an analog keyboard. 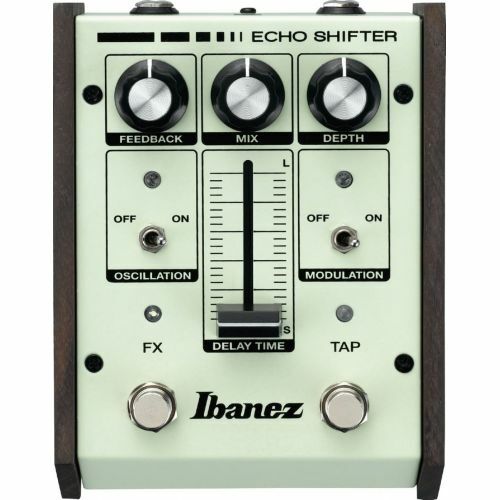 I bought this pedal once and she dropped me after 2 days (all in all 3 hours of use), more light more sound. I told myself that it was a bad run or a defective model. The store gave me another, it was yesterday afternoon, and well tonight pedal lights but there are more of his !!!!!!!! I'm not a nag and the pedal did not have time to go to the rehearsal, I must have a couple of pedals and it is the first time it did this to me. 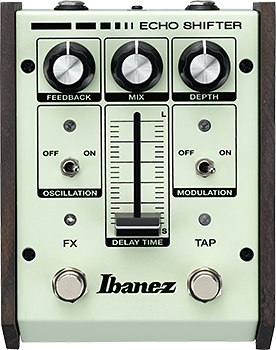 Ibanez should review its production line, I'd rather pay for a more expensive model of satisfactory quality. Too bad. La Truite's review (This content has been automatically translated from French)" Beautiful, good and cheap." Analog delay with tap tempo. A knob of feedback, a Mix (which is not at all, it is a volume knob, fully repeated notes have the same volume as the notes played, maybe a tad higher-) and a Depth knob is only active when the modulation switch is ON. Modulation and a switch so that a switch Oscillation reinjected in the diluted bouzin signal. A fader for the Delay Time (30ms to 1 second). It can easily move the foot to scream with pleasure to annoy your fans or your drummer. A footswitch FX (effect on / off) and Tap Tempo footswitch. The case is metal, sturdy and rather heavy. It is not at all friendly pedalboard, 12cm wide and 16cm long, for he is good against (sisi), blue / green light type 50's with two black wooden fins on the sides, if you like the look Moog c is battery in the same visual trip. It supplies the 9 volt negative center Boss standard power supply. If you are Johnny Greenwood crossed you should treat yourself to this listbox, between the fader, the feedback, the modulation knob and switch oscillation, we can totally do the trick from c ****** s and it remains always musical. I do not know where in the system the signal is fed back swing when the switch is ON but even the modulation knob can vary the tempo, that's cool. Modulation, when the switch is off Oscillation, will a light chorus (up to 11H knob) to a kind of large flange, vibrato limit when going south. 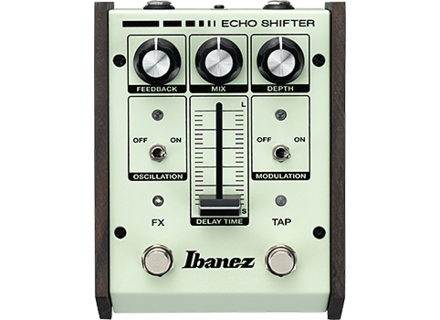 The settings are accurate, you can adjust the feedback to the hair c * l.
The delay time is adjustable from 30ms to 1 second, because the rehearsals are darker than the notes played on the very short delays it sounds like an old echo chamber, rockabilly genre / surf. 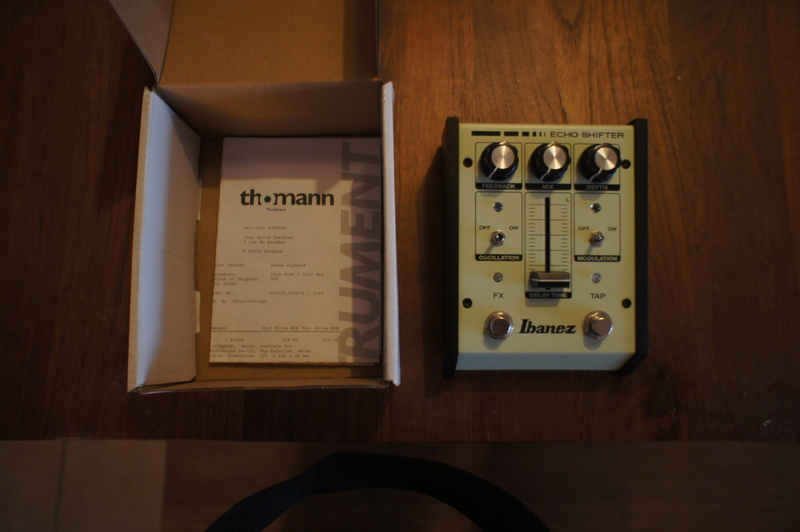 That was my biggest question when I ordered, 124 € an analog delay with all our features, I said that the sound is not great. And well if it is very good, very warm and organic, everything you expect from a good analog delay, ie repetitions with an acute that even my mother would be likely to notice loss. The modulation is also very good, it can be mild or severe but still hot (I'm not sure whether it analog, I believe that only the portion delay is). 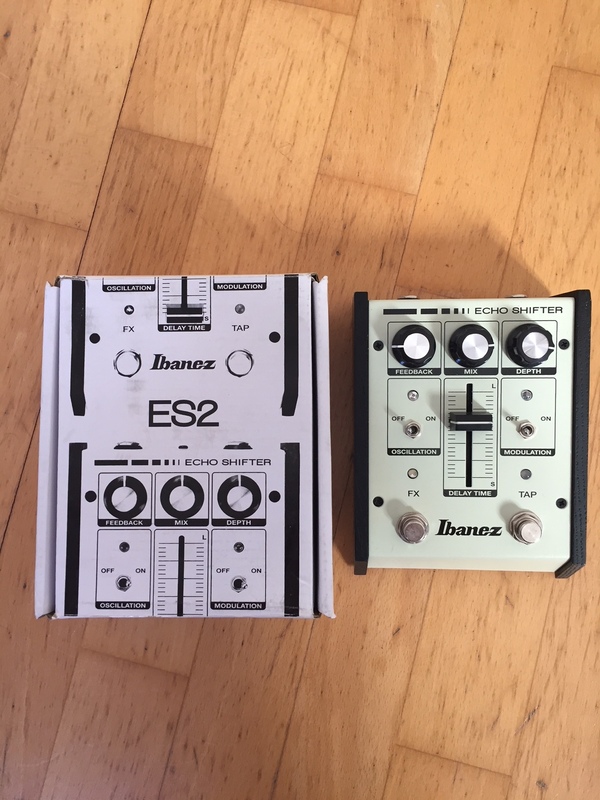 I find the sound off and class, compared for example to a line6 echo park which I think sounds "small" side and in addition it is ugly (Sisi). 1) Super its wide and soft. 2) The modulation is very good and you can also turn it off (for example, if we find that it's still a little abused it is as well). 4) delusions with swing sound really great, this is the best delay I had at this level, you can really do a lot of different things without necessarily falling into the thing heard 10,000 times in the last 15 years. For example, with the oscillation switch On and feedback to 10H, a tablecloth will keep track of what you're playing, the type of sound you can get with the Moog MF104M, I do not know any other delay analogue in this price range that allows this kind of stuff. 1) Tap Tempo only active when the effect is switched on, it does not bother me because my clothes are in a looper but must admit that it is a bit silly as the principle (if not completely con). 2) It takes up space.